Wow, what a bumper couple of months we’ve had, from braai’s to cleanups & a talk by Plastic SA and of course plenty of diving. 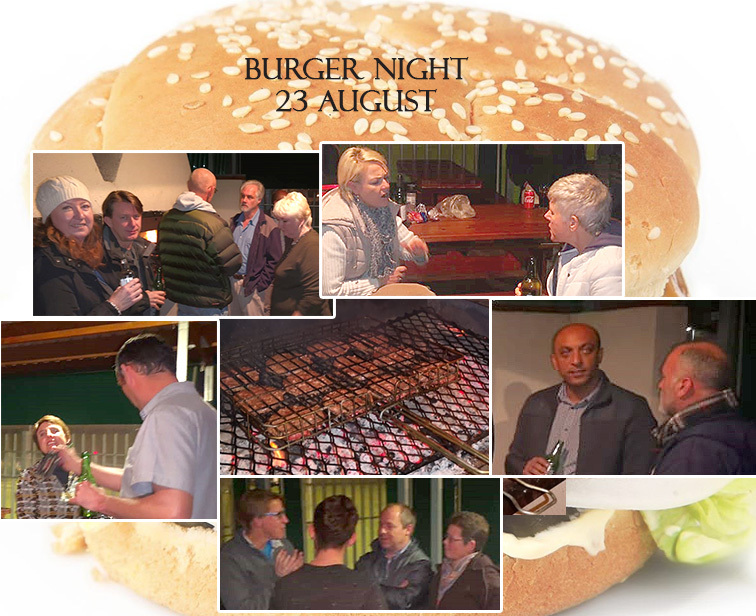 Thanks to Lezette for organising an awesome burger night and to Clynton for doing all the braai’ing. Who needs the spur – Lezette catered for all taste buds, from cheese burgers to vegetarian burgers (which isn’t too bad) and even just plain old salad burger. Several members of our club met up on Saturday, 1 September to help do a cleanup at Kalk Bay Harbour. The weather conditions for the “on land” cleanup was great and from what I heard the water was a bit surgy but our divers managed to bring up quite a bit of lead, fishing line and some really mean looking fishing hooks. The cherry on top though was Arno finding some bullets. And let’s not forget … the most fun part of the day was when Melanie, while trying to help some of the divers out the water, very gracefully fell into the water. Unfortunately this was not caught on camera – maybe next time!! John Kieser from Plastic SA join us at OMSAC to explain the damaging effects plastic has on our sea creatures and what we need to do to try and avoid this. Over a hundred bags of plastic litter was collected from Hout Bay Harbour and beach. Every year we organize this event because we are ocean lovers and we want to stop more and more plastic landing up in the ocean. We are all responsible for our planet. Considering the ocean produces 70% of the oxygen we breathe we have to protect it. The plastic is slowly killing the ocean and its inhabitants. We need to be part of the change and not part of the problem. Start recycling and if not recyclable make an eco brick. This year we corroborated with various organisations and it was a big success. Thank you very much for every volunteer. PS: Thanx to all that joined and sponsored prices. Reef Souths Africa, City of Cape Town, Alan and Monica Olivier, De Mooij exports, Somerset timbers, Houtbay bay Market , Pick a Pay, NSRI, Plastics SA, DiveInn and many many more.